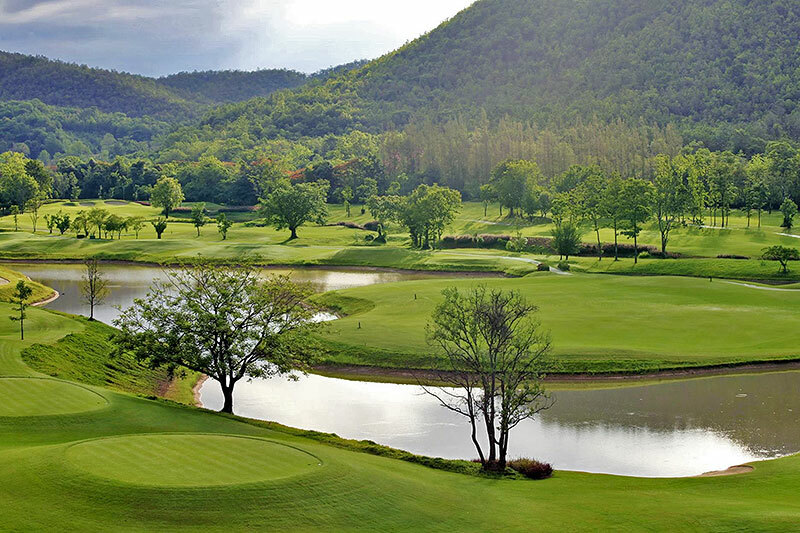 The creation of award-winning designer Mr. Ron Garl, who designed many of the top golf clubs in Florida, the Alpine Golf Resort Chiangmai has an 18-hole par-72 championship course covering some 7,500 yards, surrounded by natural forested hills. 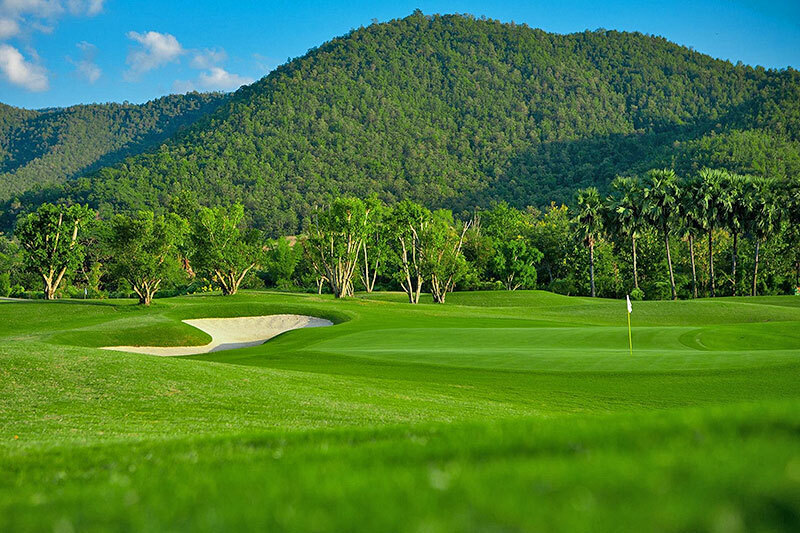 Challenges include the par 5 fourth hole, possibly the longest in Thailand. 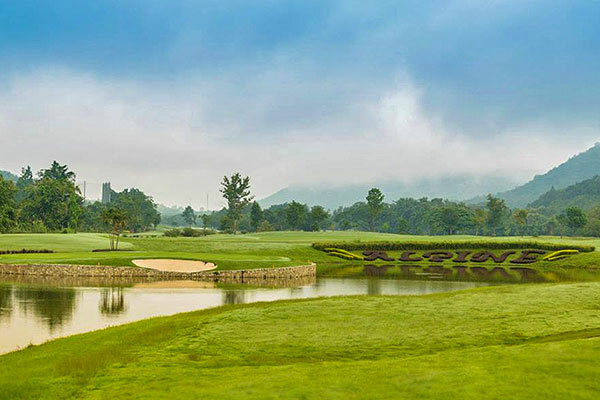 Players are warned not to play too long – a steam lurks on the far side of the green. The par 5 seventh hole, too, is a real challenge. A stream meanders alongside and across the fairway, making for some difficult choices, though the truly bold player can make the green in two. 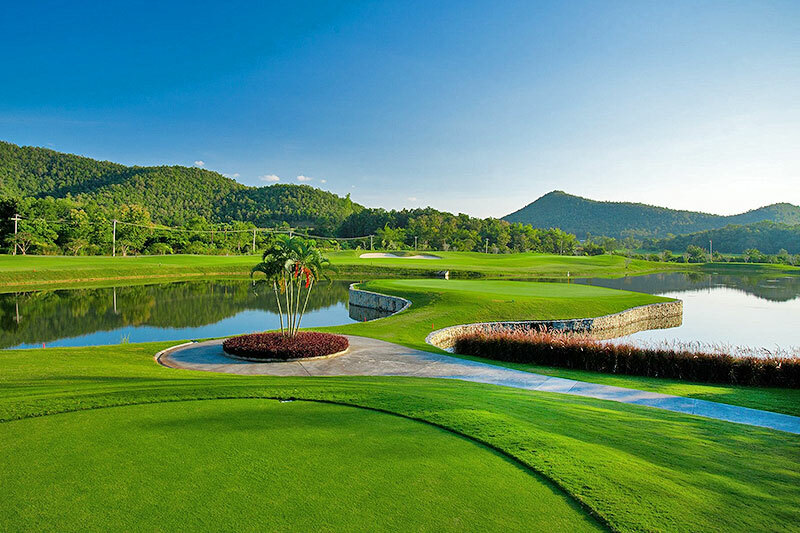 And then there is hole 9, with its island fairway, a combination of beauty and danger. Making par on this hole would make any golfer proud. Just when golfers think they have surmounted their biggest challenge, they arrive at the signature 11th hole, the most challenging of all. It’s a par 4 but it plays more like a par 5. It doglegs left with water all along the left side – and through it. Get it right, however, and you are rewarded with a green at the same level as the fairway, making the finale fairly relaxing. The multi-level green on hole 13 (par 4) may be easy to get onto, but is the trickiest on the course to read, while the par 3 15th hole has an island green which, although it’s 50 yards wide, looks frighteningly small from the tee. A cool head is required. After the round, refresh yourself with a dip in the pool and an icy drink at the poolside bar, then dine in the Resort Restaurant or Club House restaurant with their gorgeous views of the course. 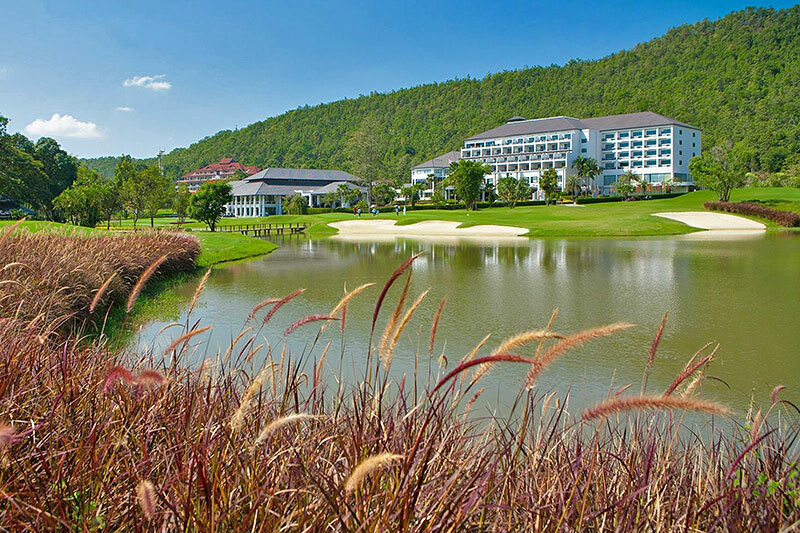 The four-star resort also has spacious, well appointed rooms and suites. 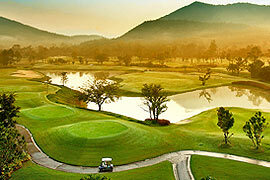 Use of golf cart on Alpine Golf Resort Chiangmai is compulsory. Maximum 1 golfer per cart is permitted. The golf cart rental is 800 Baht/cart/person. Rates above are NOT inclusive of caddy tip. 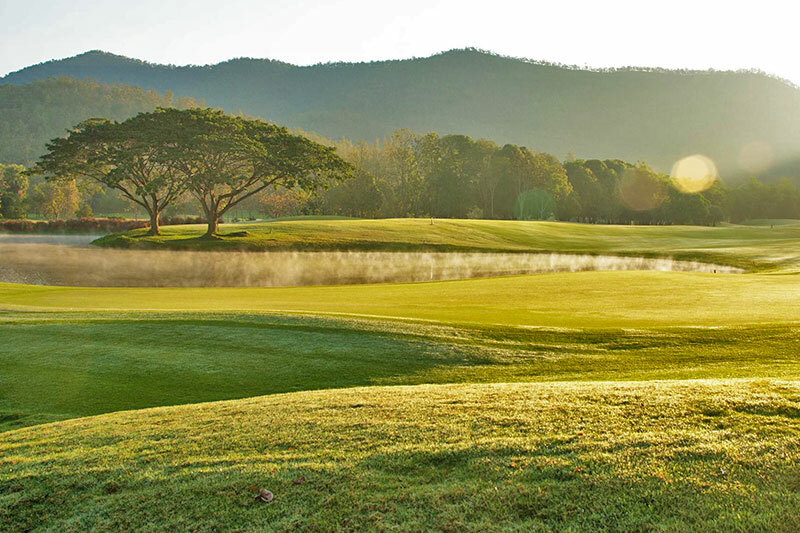 Alpine Golf Resort Chiangmai has recommended to tip their caddy from 300 Baht. You can give it directly to your caddy after the game. 1 golf cart for 18 holes golf per golfer. Children 0-4 years old without extra bed is free of charge for room and breakfast. Children 5-11 years old without extra bed is ฿125 for breakfast. Children over 12 years old charged at ฿500 for extra bed and breakfast.